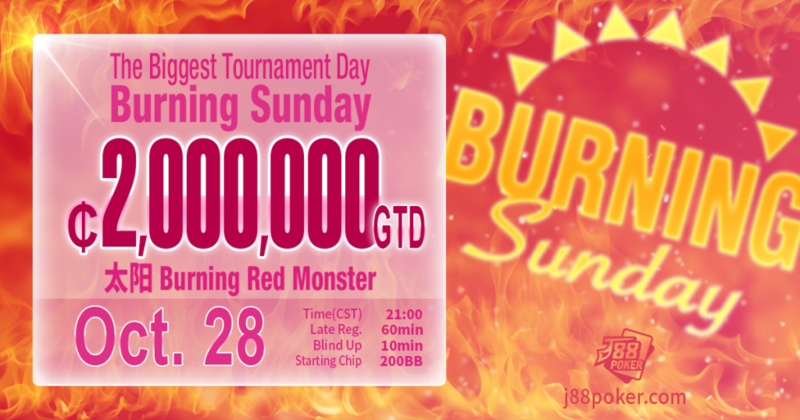 J88Poker 12th Burning Sunday on October 28th! 28th of October is the biggest tournament day of J88Poker! You want to join but can’t afford the buy-in amount? If so, don’t forget to participate in satellite tournaments. Try to obtain the “Red Hot” tourney ticket with ₵2200 satellite buy-in.